James Cook University in continuing its reconciliation journey, launching its Reconciliation Action Plan (RAP) in Townsville today (October 8). Four other JCU RAP launches will be held in the coming weeks in Cairns, Mount Isa, Thursday Island and Mackay. Reconciliation involves building positive, respectful relationships between Aboriginal and Torres Strait Islander peoples and all Australians to help work together to close the gap, and to achieve a shared sense of fairness and justice. JCU’s Statement of Strategic Intent addresses its commitment to reconciliation. The RAP further strengthens JCU’s commitment to enhance the lives of Australian Aboriginal and Torres Strait Islander peoples through education and research. A flag-raising ceremony was held prior to the official Townsville RAP launch, with three flags (the Australian, Aboriginal and Torres Strait Islander flags) raised at the entrance to the University campus. Professor Harding said she was delighted to present JCU’s first Reconciliation Action Plan. “JCU’s Reconciliation Action Plan aims to strengthen JCU’s commitment to enhance the lives of Australian Aboriginal and Torres Strait Islander peoples through education and research,” Professor Harding said. “As an organisation and a community of individuals, we commit ourselves to the initiatives and the targets laid out in our Reconciliation Action Plan. Professor Harding said embracing reconciliation was a journey for the whole university that required dedication, commitment and flexibility. 1977 JCU established the Aboriginal and Islander Teacher Education Program (AITEP) to address Australian Aboriginal and Torres Strait Islander education needs. 1981 JCU’s Student Association, with support from the University, hosts first national land rights conference that leads to the Mabo case*. 1990 Community-based Remote Aboriginal and Torres Strait Islander Teacher Education Program (RATEP) commenced. 155 have graduated. 1992 Established the Centre for Aboriginal and Torres Strait Island Participation, Research and Development (CATSIPRD), becoming the School of Indigenous Australian Studies in 1998. 1998 Diploma of Communication/Media established to train Australian Aboriginal and Torres Strait Islander radio broadcasters. 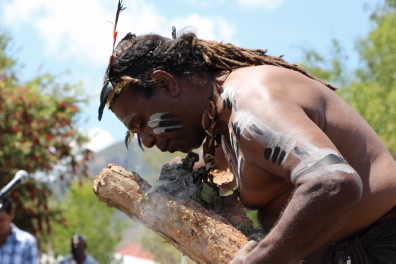 Graduation of first Torres Strait Islander with a PhD in Australia. 2003 Established the Indigenous Health Unit (IHU) within the Faculty of Medicine, Health and Molecular Sciences. Appointed first Chair in Indigenous Australian Studies in Queensland. 2004 Student Association was the catalyst for the establishment of the annual Mabo Lecture, which commemorates the life of Eddie Koiki Mabo. 2008 Vice Chancellor and President launched the JCU Reconciliation Statement. Naming of JCU campus library after the late former employee, Eddie Koiki Mabo. Naming of creeks in language names, for Townsville and Cairns campuses, by local Australian Aboriginal Elders. 2013 Vice Chancellor and President sign a commitment to the development of a RAP. 2014 JCU’s University Council endorses the RAP. * Eddie Koiki Mabo (1936-1992) worked at one time as a gardener at JCU. 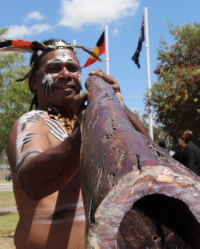 A Torres Strait Islander, he is a famous figure in Australian history for his role in campaigning for Aboriginal and Torres Strait Islander land rights and his role in one landmark decision of Australia's High Court, overturning the legal fiction of terra nullius which characterised Australian law with regards to land and title.